Warsaw is the biggest city in Poland and also its capital. 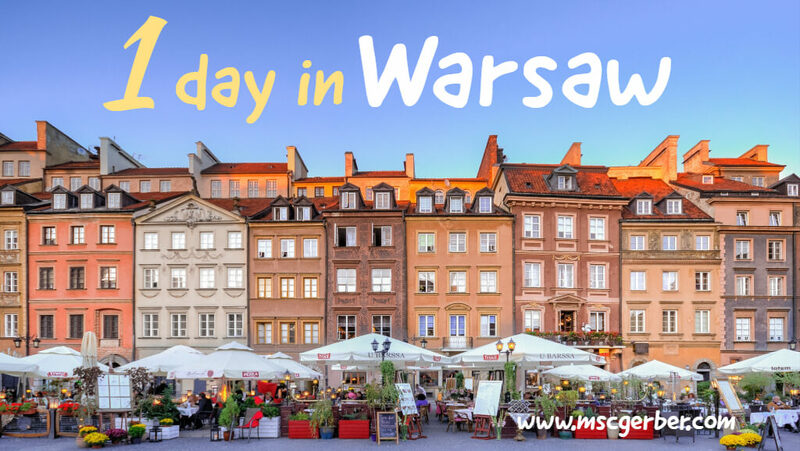 Despite its interesting history, the variety of architecture and high standard of living, Warsaw is often overlooked by travelers when planning their Europe trip. Admittedly, I did the same. And I actually regret it. I only spent one day in Warsaw – and I loved it. 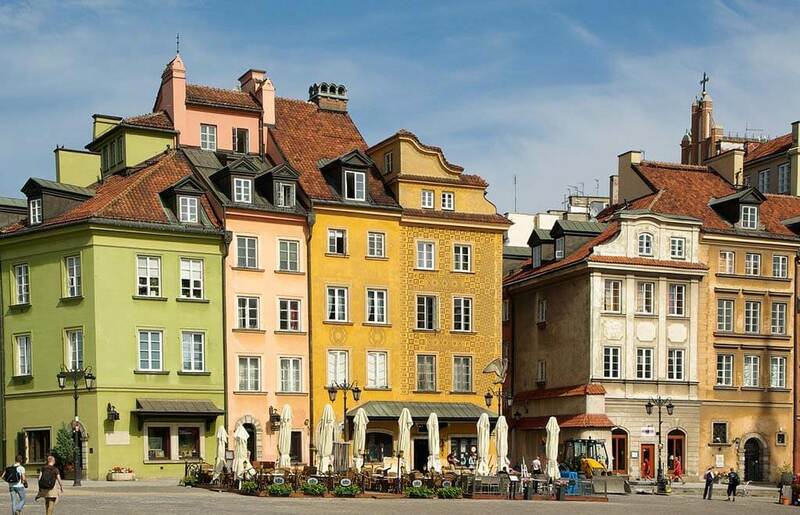 Warsaw is a beautiful city with a lot to offer – and is quite affordable for a European city. Today, I’m going to tell you how to spend 24 hours in Warsaw. *This article contains affiliate links, with which I may earn commision if you decide to purchase one of the linked products. This is at no additional costs for you and helps me run this blog. I recommend getting up early to experience the old town of Warsaw with fewer tourists. If head there around 7 to 9 AM (depending on the time of the year) you can stroll through the wonderful alleys and basically absorb the beauty of Warsaw’s old town. While the whole old town was bombed and destroyed during World War II, it was rebuilt afterward and got its charm back – and eventually got added to the UNESCO World Heritage sites. If you only spend one day in Warsaw, the old town still has to be on your Warsaw Itinerary, as it is one of the most beautiful areas in the city. Alternatively, you can join a free walking tour, which will show you the most important parts of the old town too. Afterward, you can take a bus to head to POLIN, the museum of the History of Polish Jews. If you leave this museum light-hearted, you did something wrong. The museum is all about the history of Polish Jews, including the good times, but also the horrible times during the Nazi regime. The museum itself is incredibly interesting, especially if you are interested in history. I recommend going there even if you just have 24 hours in Warsaw, as it showcases the whole history of the Jewish community in Warsaw, which many people don’t know much about (including me before I visited the museum). First of all, you want to have lunch! After the interesting museum, you will need some energy to continue with your 24 hours in Warsaw. Actually, Warsaw has a lot of great restaurants, so I’m sure you will find something that fits your needs. Especially recommended are the various local restaurants in Warsaw. If you are interested to find out more about Polish food and try their most famous dishes, you can also do a guided food tour, in which you will eat the best food in Warsaw. 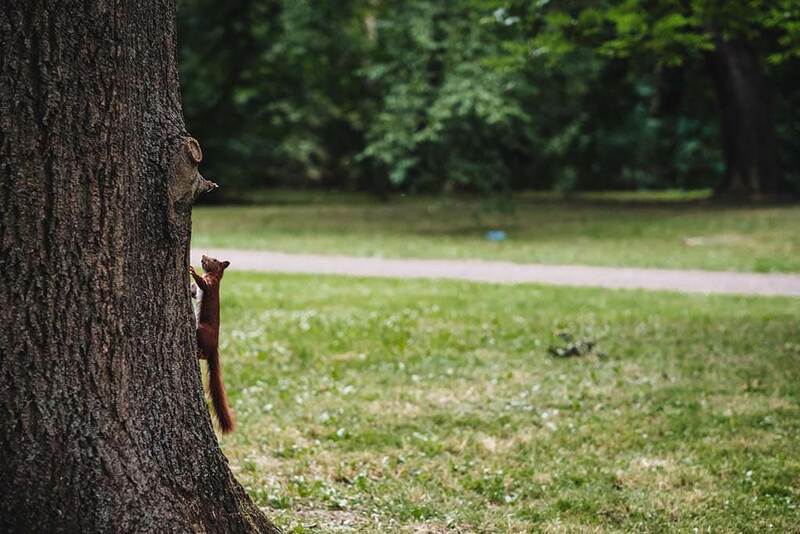 One of the highlights of Warsaw is the Lazienki park, which is the biggest park in the whole city. Inside the Lazienki Park, you can find a palace, an Egyptian temple, the white house (not the one in Washington haha) and much more. Therefore it is a place you must look around when only spending one day in Warsaw. In summer it’s a perfect place to relax and spend some time, while you might want to hurry a bit more during cold Polish winters. If you like classical music, this is your place to go. I’m personally not so much into it, but I knew about Chopin and some of his famous songs and gave the museum a try: And I didn’t get disappointed. The museum is modern and has some interactive parts, as well as a big collection about Chopin’s personal life. If you like Chopin’s music, you must visit this museum. For big fans, there is even the possibility to do a half-day guided tour, which will bring you to Chopin’s birthplace. The Warsaw Rising Museum is a tribute of Warsaw’s residents to those who fought and died for independent Poland and it’s free capital. From what I’ve read, the museum is very interesting – unfortunately, I couldn’t make it there, as I only stayed one day in Warsaw. However, if you are not interested in the Chopin museum, it’s also a great option. The Copernicus Science Center is a museum dedicated to science and inspired by Nikolaus Kopernikus, a former Polish scientist. 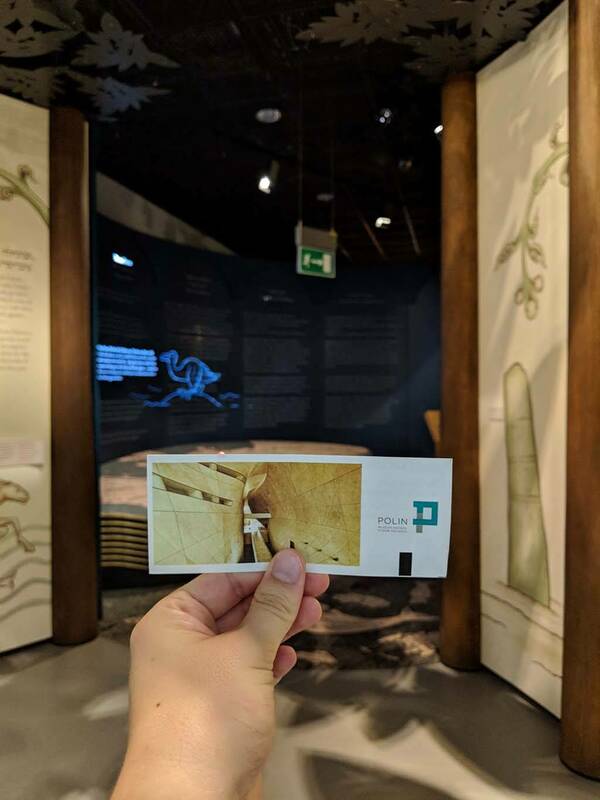 I went there and was quite disappointed, as it is more an interactive playground for families and kids – and doesn’t teach you a lot about science or the history of Kopernikus itself (that’s what I expected). 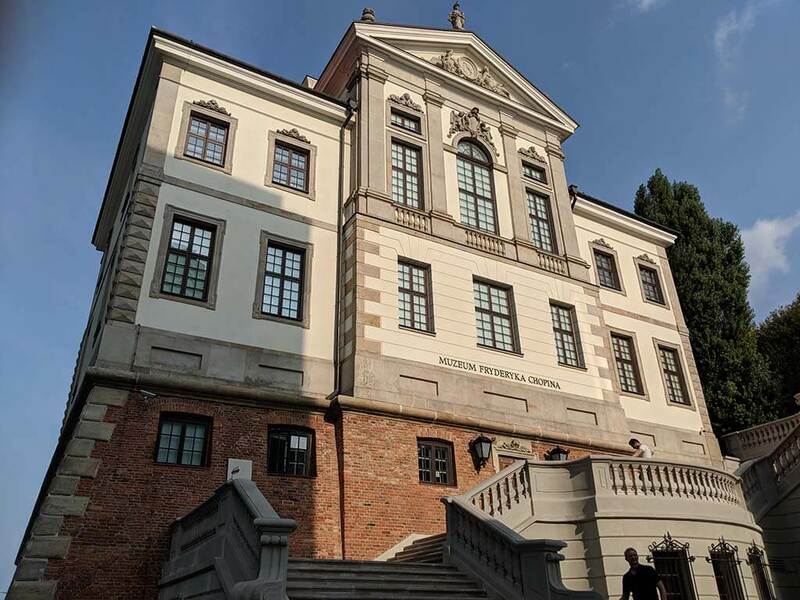 Ye, if you want to have a fun afternoon with your family this museum is a perfect option to add to you 24 hours in Warsaw. After a long day of exploring Warsaw, it is time to have dinner – as you are not finished spending one day in Warsaw and enjoy it to its fullest. Like for lunch I recommend having local food – which you can find everywhere in the city. For less than 20$/person you can enjoy an incredible concert with Chopin music in Warsaw – which take place almost every evening. I highly recommend doing this, as it is an experience you can’t make everywhere, especially for this small price. You can book your own concert ticket right here. Warsaw is full of amazing hotels but also offers great budget options for backpackers. I will try to give you some great options for hotels in Warsaw, to find your perfect Warsaw accommodation. Please note that I carefully researched all of these places prior to my one day trip to Warsaw. 5* Luxury Hotel Bristol: A luxurious 5-star hotel in the heart of Warsaw – including everything you could think of like a spa and a high-class restaurant. And you can get all of this at an affordable price, especially compared to other big European cities. 4* Polonia Palace Hotel: Hotel with a great location, under 100$/night and perfect access to public transportation, as it is located nearby the train station. 3* Ibis Styles Warsaw City: Modern Ibis Styles Hotel with great breakfast options (including vegetarian), good location and some of the best ratings in this price range. Perfect for couples of every age. Golden Apartments: If you don’t like to stay in one of the many hotels in Warsaw, there are also great options to stay in an apartment. I stumbled upon the Golden Apartments because of their amazing ratings, its good location and great rooms. Dream Hostel Warsaw: The budget friendliest option are the great hostels in Warsaw – which offer incredible pricing for your stay, especially if you decide to go with a dorm room. I personally stayed in the Dream Hostel in Warsaw, which has modern rooms, a great lounge to connect with other travelers (including a bar) and a perfect location inside Warsaw’s old town. Airbnb: There are also amazing places available to rent on Airbnb, ranging from budget apartments to luxurious houses. When it comes to getting around in Warsaw I have to tell you: It’s really easy and convenient. While public transportation is already awesome, with over 1’500 buses operating around the city and a big metro system, you could also use “UBER” to order taxis. I personally used a mix of both public transportation and UBER, and never had a problem. Simply search your destination in google maps and you will see all available options.